If you’re trying to get pregnant or even just starting to think about it, you’re probably doing everything you can to increase your chances of having a healthy pregnancy and healthy baby. There are lots of things you can do to improve those chances, like taking prenatal vitamins before you even try to conceive, and gathering important personal health information including your family’s medical history. Your doctor may also offer certain tests and screenings. One screening your doctor may talk to you about is often called “carrier screening.” These tests, which can be done before you conceive or during pregnancy, can tell you if you are at risk of passing along certain genetic diseases that you may not have yourself, like Tay Sachs or cystic fibrosis. You may know certain diseases run in your family, or you may not. A screening can let you know if you are a carrier. So which — if any — should you get done, and when? The answer is different for everyone. Everyone has two sets of DNA (one from mom and one from dad). When a sperm (carrying dad’s DNA) fertilizes an egg (containing mom’s DNA), those two sets of DNA combine to make a new mixture — the unique genetics of your baby! Your baby’s genetics will determine your child’s hair and eye color, height and all sorts of other traits. A genetic disease is when one or both of a person’s sets of DNA have a mutation (a change from the usual), which could make him more prone to developing health conditions. Some mutations are harmless, others only slightly boost the risk of a condition (for example, make it a little bit more likely your child will get diabetes much later in life), while other mutations can cause more serious diseases or developmental problems starting at birth. What does it mean to be a genetic “carrier”? Rarely, a condition (like Huntington’s disease) can be caused by a mutation in just one set of DNA. But in most cases — including cystic fibrosis and sickle cell disease — it takes a mutation in both sets of DNA for a person to actually be affected by a genetic disease. So if you have a mutation in just one set, you’re what’s known as a “carrier”: You’re carrying the mutation but have no signs of the disease. So what’s a carrier screening? A carrier screening tests whether you or your partner is a carrier for any common genetic diseases. It’s a blood test, which requires a quick prick to draw some blood from your arm. If both you and your partner are carriers, and you both pass the mutation-carrying DNA along to a baby, the baby could end up with a full-fledged version of the disease — so this test looks at the odds of that occurring. With the growing number of mutations and diseases that carrier screening can test for, the National Society for Genetic Counselors now recommends that every couple considering having children are at least offered carrier testing by their healthcare provider. But the group also suggests that couples talk with a doctor or genetic counselor before getting the testing to make sure they understand what’s being tested for and what the results would mean. Ultimately, it’s up to a couple to make an informed decision about whether getting carrier testing is useful for them. Genetic carrier screening can be done when you’re just in the planning stages of starting a family, while you’re actively trying to conceive or once you’ve gotten a positive pregnancy test. That said, if you’re interested in the test, the earlier you get it done, the more likely doctors can do something if they do detect that you’re carrying a mutation. Once a sample of your blood is taken, DNA will be isolated in a lab from your blood cells, so that any mutations that are being tested for can be detected. 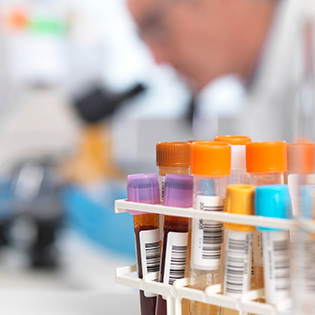 Because most hospitals have to send your blood to an off-site laboratory to do carrier testing, it will likely take between one and two weeks to get your results. Typically, a mom-to-be gets tested first, and if her results suggest she’s carrying a disease-linked mutation, then dad can get testing later. But in some cases — like those where there’s a family history and a woman is already pregnant — a doctor might recommend getting both parents tested simultaneously to speed things up. What diseases can it screen for? If you’re interested in carrier screening, you might decide which mutations you should test for by carefully considering your and your partner’s risk factors, as well as how you’ll use the information about each disease. A conversation with a healthcare provider or genetic counselor can be helpful at this stage. What are the odds of our baby having a disease if we test positive? Even if both you and your partner test positive as carriers of the same genetic mutation, there’s still only a one in four (or 25 percent) chance that your baby will have the disease. That’s because each of you has two sets of DNA — which means you each have a second, healthy copy. And if the baby inherits the healthy copy from one or both of you, they won’t have the disease (although your child may be a carrier). If you get a carrier screening, you might discover that your baby probably won’t have some of the more common diseases that doctors can test for. But you should know that current tests don’t cover all mutations. There are many hundreds of diseases that doctors can’t yet test for, though the science is improving all the time. Is there anything we can do if we test positive? The most powerful time to get information from carrier screening is before you’re even pregnant. That’s because if you and your partner do test positive as carriers of a genetic disease, you may choose to work with fertility doctors to discuss your options. For example, technology now exists that can test the DNA of embryos created via IVF to see whether they have a particular mutation (this is called preimplantation genetic diagnosis). If you get a carrier screening done later — perhaps after you’re already pregnant — a positive result can mean more tests to see whether your baby is affected (remember, there’s only a one in four chance that a fetus inherits both copies of the mutation from you and your partner). Any discussion about whether you’re going to get a carrier screening done in the first place should include a conversation about what you would do if these results come back positive. If you do decide to get one done, a positive test can be valuable to help you think ahead and plan financially. It could also lead to early treatments for the disease before the baby is born. Even if you don’t talk to a genetic counselor before proceeding with carrier screening, most healthcare practitioners will refer you to one to help you interpret your results and decide what to do with any information you obtain. As more and more tests become available, understanding what they mean can be confusing — genetic counselors are trained in helping you sort through the available information to make sense of it. If your results are fairly straightforward, and your obstetrician is comfortable with genetic screening, he may perform this counseling on his own. But if you’re confused about anything or want to talk through your options with someone else, it’s always your right to ask to see a genetic counselor — most hospitals have one on staff and your insurance should cover your visit. This entry was posted in Health, Infertility, IVF, Single Mother By Choice and tagged Black Choice Mom, Genetic Screening, IVF, Single Mother By Choice. Bookmark the permalink.